Marco Iuliano is an Italian architetto specialised in History and Theory of Architecture. He has taught in Italy, France, United Kingdom and has been invited to present papers in several countries. He is the recipient of different grants and has held fellowships at the British Library, the Centre for Architecture Andrea Palladio and the Italian Ministry of University. In 2005 he was also awarded an Italian National Council of Researches (CNR) Postdoc. Between 2005 and 2008 he has been the PI of the Digital Archive funded by the Compagnia di San Paolo for the Archivio Fotografico Parisio, one of the largest Italian architectural image archives. He is correspondent for the UK of ‘Il Giornale dell’Architettura’ (Allemandi), has published numerous peer-reviewed articles and is co-author and co-editor of six books: in 2009 one of these has been selected as book of the Year in the Times Literary Supplement. 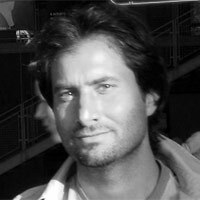 Before joining LSA, from 2009 to 2012, Marco has taught at Cambridge University, Faculty of Architecture and History of Art. In the department of Architecture at Cambridge he has been the PI of the ‘Interactive Vision between Architecture and Photography’, a research project funded by the European Commission under the 7th Framework Program and the organiser of two centenary events for the Department of Architecture (1912-2012): the exhibition Cambridge in Concrete. Images from the RIBA British Architectural Library Photographs Collection and of the international conference ‘Still Architecture: Photography, Vision, Cultural Transmission’. He is an affiliated member of the DIGIS, Department of Architecture, University of Cambridge.